This post contains affiliate links. HECR will make a small commission from purchases through these links at no cost to you! This Disney Channel summertime dessert is delicious and easy! 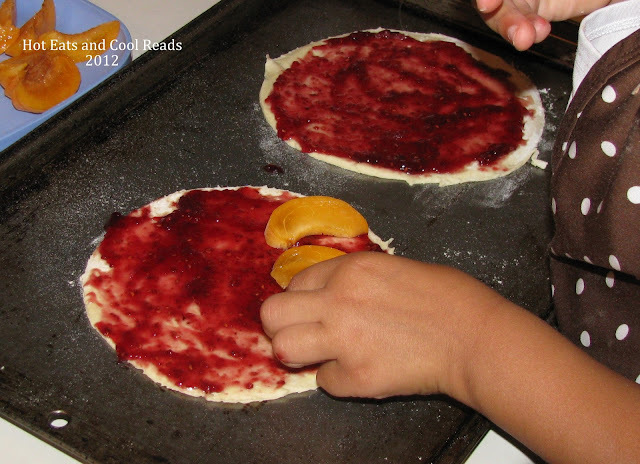 It's a kid friendly recipe and the kiddos just love to make it! If you have a child who watches the Disney Channel often, then you've probably seen this recipe on a TTI commercial. My daughter has been begging me to make these for last month or two, so we finally got all of the ingredients and made them! She pretty much had the commercial memorized, but I googled the recipe just to make sure we had the baking instructions correct. 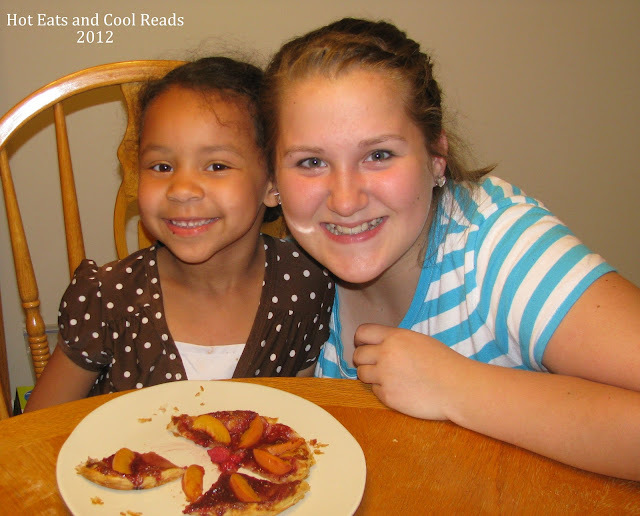 We loved how these fruit tarts turned out and they were so fun to make! My daughter had a blast rolling out the dough, and assembling them just like Megan did on the commercial. She was disappointed we didn't have the mint leaf to finish them off, but that was quickly forgotten when she started making them! This is such a fun recipe to make with the kids and I'm sure we will be trying them again! Have fun! Place pastry on a cookie sheet and sprinkle lightly with more sugar. Spread raspberry jam evenly over the pastry circle. Place apricots around the pastry in a circle. Place 1 raspberry in the middle of the pastry. Bake for 15-20 minutes or until pastry starts to turn a golden color. They taste the best warm, right out of the oven! Click on the recipe title to view! Preheat oven to 400 degrees. Sprinkle sugar on each side of the puff pastry and roll it out on a floured surface until it measures 12x12 inches. Put a cereal bowl upside down on the pastry, by the corner, and cut around it with a knife to make a circle. Repeat with the other corner. You should have 2 circles from 1 sheet of pastry. These tarts look super delicious. Thanks so much!! They loved making these! What a great idea. These look good! 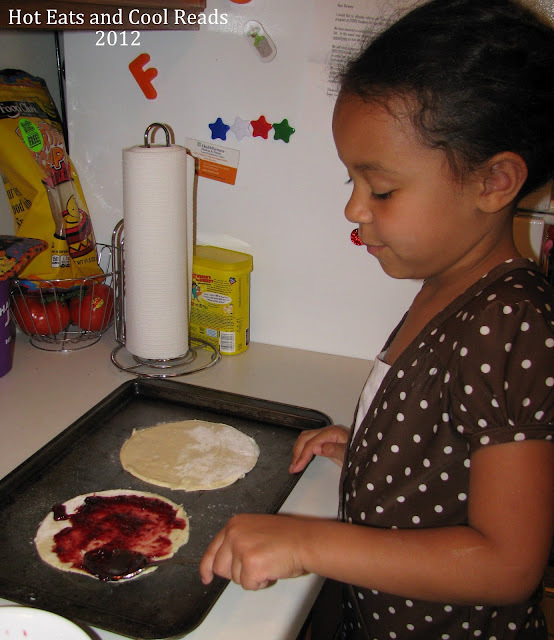 We are all about kids cooking! I'd love for you to link up at Fantastic Thursday. http://www.fivelittlechefs.com/2012/06/fantastic-thursday-2.html Hope to see you there! Your little Bakers are adorable! This is a great tart, it looks so good. Hope you are having a great week and thank you so much for sharing with Full Plate Thursday. Thanks Miz Helen! It was tasty! 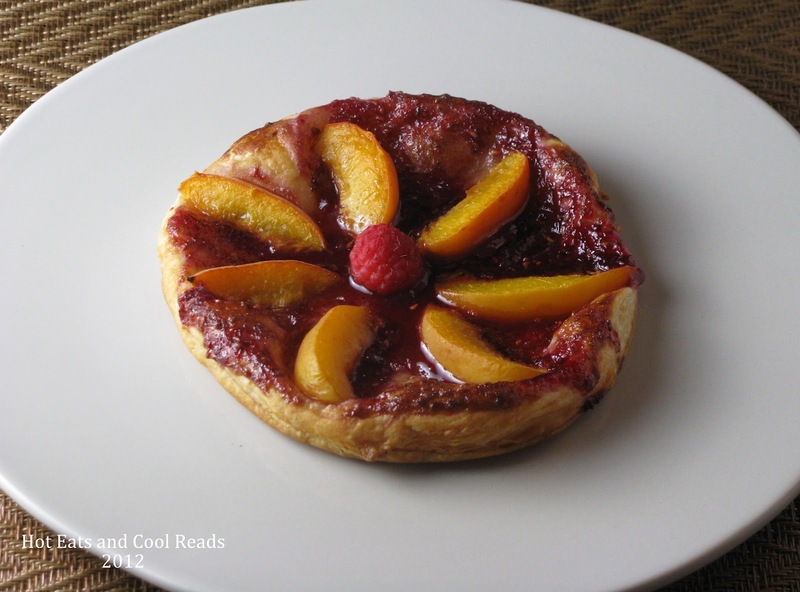 These tarts look wonderful! Love that you have little helpers in the kitchen. Thanks so much for linking up to Creative Thursday this week. I can't wait to see what you link up next week. Have a wonderful weekend. Thank you!! My daughter loves helping me in the kitchen! It sounds really good I'll try to make them! They are good and so fun to make! Enjoy! 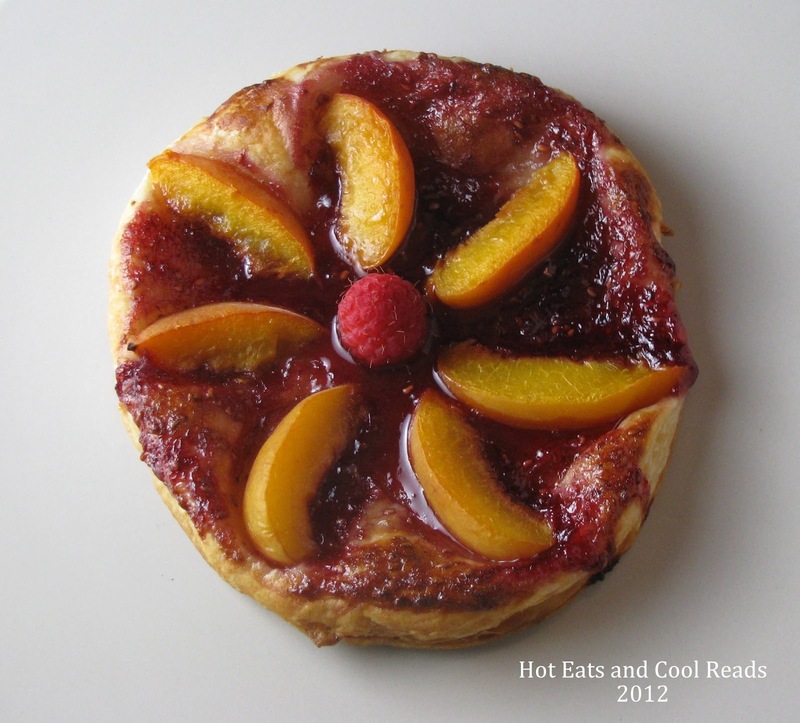 This tarts sound so delicious, I saw this on DC and I thought I would try and make them. My 5 year old wants to make these, when I asked her what I needed besides apricots, her answer was, "A leaf." My daughter has been trying to explain this recipe to me ever since she saw it on the Disney channel. I googled it and found your post. She was so excited and said "That's it Momma!" We are making it today. Thank you so much!!! Hello, I know this is an old post, but I was wondering if you knew where you found this recipe from because the website you linked is now down. I also was wondering if you can find the video of Megan making the tarts because it is no where to be found.